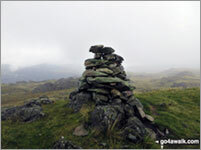 If you include all the Wainwrights, Mountains (Hewitts), Deweys, Nuttalls, Wainwright Outlying Fells, Marilyns, Bridgets (Hills) and all the Mountains, Tops, Peaks and Hills with a Trig Point on them there are 37 tops to climb, bag & conquer and the highest point is Walna Scar. 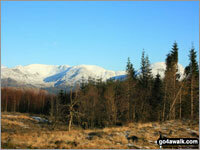 A go4awalk.com Peak Bagging Map and Hill Tick List featuring Caw (Dunnerdale Fells) will be available soon. 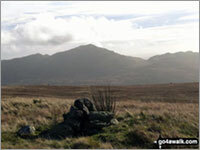 A go4awalk.com Peak Bagging Map and Hill Tick List featuring Pikes (Caw) will be available soon. 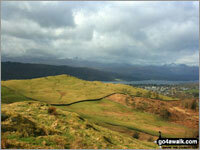 A go4awalk.com Peak Bagging Map and Hill Tick List featuring Great Worm Crag will be available soon. 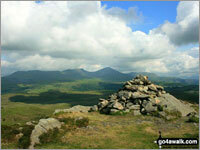 A go4awalk.com Peak Bagging Map and Hill Tick List featuring Green Pikes (Caw) will be available soon. 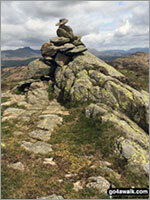 A go4awalk.com Peak Bagging Map and Hill Tick List featuring Stickle Pike (Dunnerdale Fells) will be available soon. 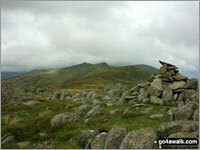 A go4awalk.com Peak Bagging Map and Hill Tick List featuring Raven's Crag (Stickle Pike) will be available soon. 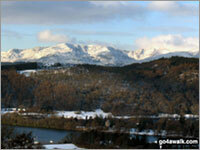 A go4awalk.com Peak Bagging Map and Hill Tick List featuring Carron Crag will be available soon. 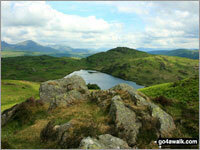 A go4awalk.com Peak Bagging Map and Hill Tick List featuring Tarn Hill (Dunnerdale Fells) will be available soon. 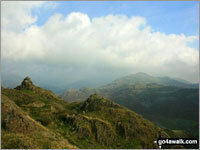 A go4awalk.com Peak Bagging Map and Hill Tick List featuring Great Stickle (Dunnerdale Fells) will be available soon. 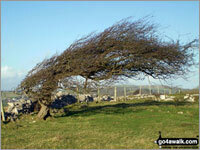 Burney (Great Burney) is called 'Burney' in Alfred Wainwright's 1974 Book 'The Outlying Fells of Lakeland'. 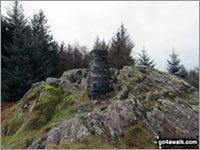 A go4awalk.com Peak Bagging Map and Hill Tick List featuring Burney (Great Burney) will be available soon. 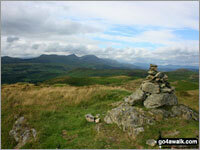 A go4awalk.com Peak Bagging Map and Hill Tick List featuring The Knott (Dunnerdale Fells) will be available soon. 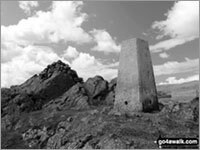 A go4awalk.com Peak Bagging Map and Hill Tick List featuring Dunnerdale Fell (Broughton Mills) will be available soon. 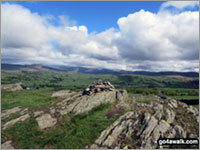 A go4awalk.com Peak Bagging Map and Hill Tick List featuring Staveley Fell will be available soon. 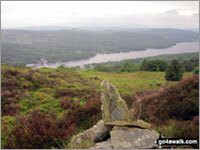 A go4awalk.com Peak Bagging Map and Hill Tick List featuring High Light Haw (Top o' Selside) will be available soon. 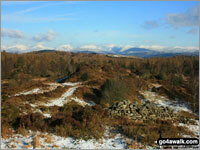 Beacon (Blawith Fells) is called 'Beacon Fell' in Alfred Wainwright's 1974 book 'The Outlying Fells of Lakeland'. 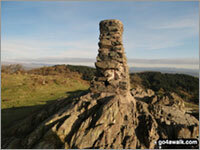 A go4awalk.com Peak Bagging Map and Hill Tick List featuring Beacon (Blawith Fells) will be available soon. 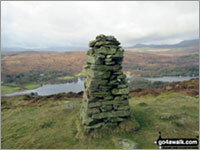 A go4awalk.com Peak Bagging Map and Hill Tick List featuring Grandsire will be available soon. 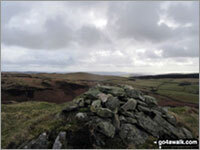 A go4awalk.com Peak Bagging Map and Hill Tick List featuring Blawith Knott will be available soon. 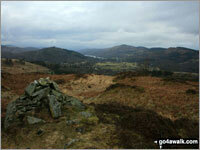 A go4awalk.com Peak Bagging Map and Hill Tick List featuring Low Light Haw (Top o' Selside) will be available soon. 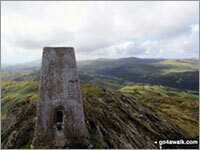 A go4awalk.com Peak Bagging Map and Hill Tick List featuring Latterbarrow will be available soon. 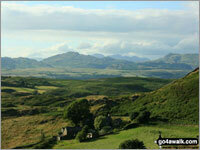 A go4awalk.com Peak Bagging Map and Hill Tick List featuring School Knott will be available soon. 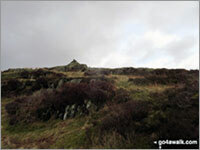 A go4awalk.com Peak Bagging Map and Hill Tick List featuring Tottlebank Height will be available soon. 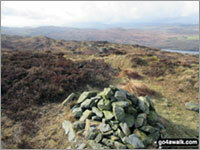 A go4awalk.com Peak Bagging Map and Hill Tick List featuring Brock Barrow (Top o' Selside) will be available soon. 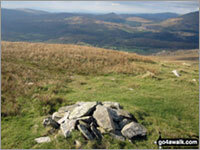 A go4awalk.com Peak Bagging Map and Hill Tick List featuring Hampsfell will be available soon. 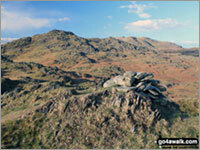 A go4awalk.com Peak Bagging Map and Hill Tick List featuring Wool Knott will be available soon. 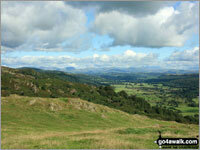 A go4awalk.com Peak Bagging Map and Hill Tick List featuring Yew Bank (Blawith Fells) will be available soon. 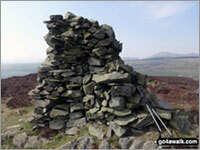 A go4awalk.com Peak Bagging Map and Hill Tick List featuring Brant Fell will be available soon. 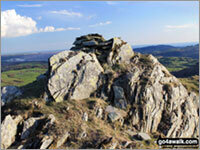 A go4awalk.com Peak Bagging Map and Hill Tick List featuring Bigland Barrow will be available soon. 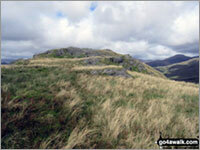 A go4awalk.com Peak Bagging Map and Hill Tick List featuring Finsthwaite Heights will be available soon. 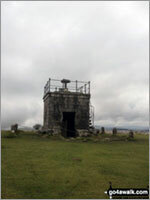 A go4awalk.com Peak Bagging Map and Hill Tick List featuring Cartmel Fell (Raven's Barrow) will be available soon. 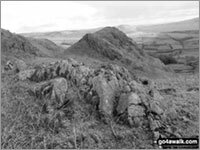 Humphrey Head actually lies just outside the Lake District National Park southern boundary but it is classified as being within the park for Peak Bagging purposes to stop it getting missed. 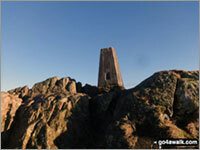 A go4awalk.com Peak Bagging Map and Hill Tick List featuring Humphrey Head will be available soon.